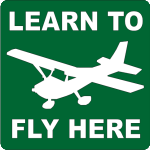 Flight School Of Greenville | Flight School of Greenville is the BEST place to learn to fly! We have flight training programs which include Private , Instrument, Commercial, Certified Flight Instructor and Instrument Instructor. Flight School of Greenville is the BEST place to learn to fly! Our highly professional instructing staff has a wide range of experience including Part 135 Charter operations, Part 121 Airline operations, Part 141 Flight School operations along with thousands of hours of flight instructing. What does this mean for you, the student? It means that we understand your goals and are able to help you achieve them. Our location in the USA is also an important factor. Greenville SC has four seasons of weather, nearby mountains, lakes, busy airspace, as well as sparsely populated areas. The South Carolina weather allows us to provide flight training year round! All of these features create a well rounded pilot that is equipped to fly safely and confidently anywhere. We have flight training programs which include Private , Instrument, Commercial, Certified Flight Instructor and Instrument Instructor. We frequently provide beneficial flight reviews, Instrument Proficiency Checks, recurrent training and Airline interview preparation. We have the advantage when it comes to providing excellent, affordable flight training. An accelerated flight training course is the most cost and time efficient way to successfully achieve your aviation goals. Studies have shown that intensive, accelerated flight training programs keep the student’s learning curve maximized so you are not spending your very valuable resources re-learning what you forgot from your previous lesson. Getting your instrument rating is one of the best things you can do to improve your skill as a pilot. Having your rating often allows you to complete a flight that otherwise would be delayed or canceled due to weather. The statistics show that getting your instrument rating makes you a much safer pilot. The Most Cost Effective Way to Improve Your Skills and Start Earning a Living in an Airplane. If you are considering a career in aviation, this is the beginning of that career. If a career in aviation is not your goal, a commercial license will make you a safer and more efficient pilot. I travel to Greenville for business on a semi-regular basis and when I’m down there I don’t want to miss a chance to fly. I’ve flown with Cyndy in a 172 on a couple of occasions and I like her approach to instruction. The 172s seem to be well cared for. The school has a very professional but still comfortable atmosphere. Highly recommended. Flight School Of Greenville is a top notch flight school! I was pleasantly surprised by the newer airplanes that they had compared to the other flight schools in the area. The instructors are professional, friendly, and have tons of experience. I would recommend them to anyone thinking about getting into aviation. Simply the best flight school around! The highest quality instruction and the nicest, most well maintained fleet on the airport! Always a great experience. Beautiful, clean, and very well maintained aircraft. Conveniently located at the Greenville Downtown Airport. The place to go and the people to see if you’ve ever dreamed of learning to fly! Excellent flight school. Nice and clean airplanes; wonderful store with an array of books and pilot supplies; friendly staff and Cyndy “Trim Queen” is AWESOME! Highly recommended! The most well organized and professional flight school that I have ever had the privilege to attend. Airplane’s are all newer and kept in impeccable condition. The instructors will not waste your time and money. They know what you need to learn, and have an outstanding way of teaching. I would highly recommend Flight School of Greenville to anybody looking for flight training. My only regret is that they don’t have a Milwaukee location. Absolutely love this flight school! I would go back in a heart beat for any additional rating I need. I loved working with all of the flight instructors there. Cyndy got me through my CFI a lot faster than I expected and helped me understand things so much better! Highly recommend this flight school!